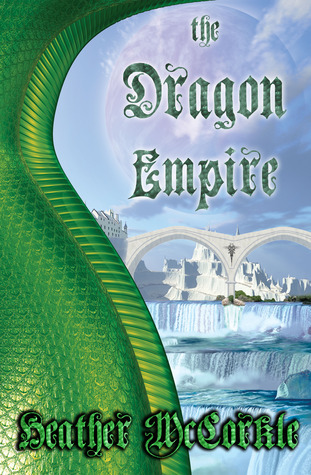 Today I'm excited to be participating in the blog tour for Heather McCorkle's newest novel: The Dragon Empire. 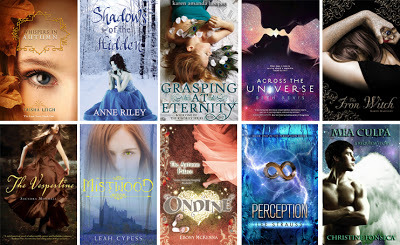 For our stop, Heather has listed her top ten prettiest covers. So let's see what they are. Heather, take it away! Whispers in Autumn by Trisha Leigh, Shadows of the Hidden by Anne Riley, Grasping at Eternity by Karen Hooper, Across the Universe by Beth Revis, Iron With by Karen Mahoney, The Vespertine by Saundra Mitchell, Mistwood by Leah Cypess, Ondine by Ebony McKenna, Perception by Lee Strauss, and Mea Culpa by Christine Fonseca. Wow, Heather, those are some totally amazing covers! I have to say that Grasping at Eternity is one of my all time favorites, as well! And who can't like the cover to Mea Culpa? Thanks so much for showing us what you think! 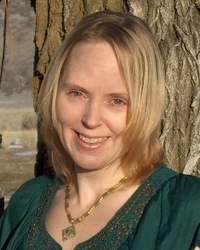 I am an author of fantasy, in all its many sub-genres. Living green, saving endangered species, helping other writers, and supporting fabulous authors are a few of my passions. I am also a volunteer for the IS Foundation which works to make the world a greener place. When I'm not volunteering, writing, or surfing my social networking sites, I can be found on the slopes, the hiking trails, or on horseback. As a native Oregonian, I enjoy the outdoors almost as much as the worlds I create on the pages. No need to travel to the Great Northwest though, you can find me here, on my blog, and Monday night's on Twitter where I co-moderate the #WritersRoad chat.